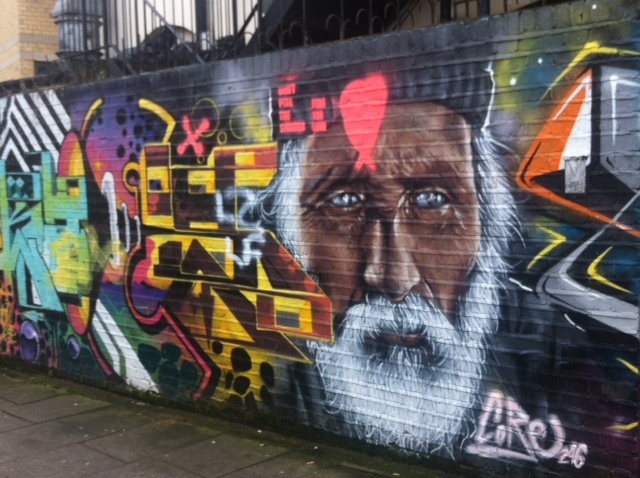 The streets of Shoreditch, Spitafields and Old Street are home to some of the most alive, vibrant and colourful displays of street art in all of London and the world! 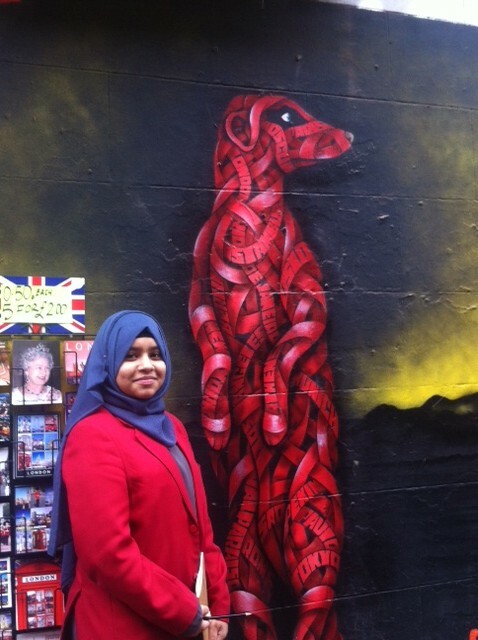 Stencil art, freehand paintings, spray painted art, murals and sculptures are just some of the works on display. Some of the worlds’ best known street artists have graced their talents upon these walls; artists such as Banksy, Keith Haring, Shepard Fairey and many more. 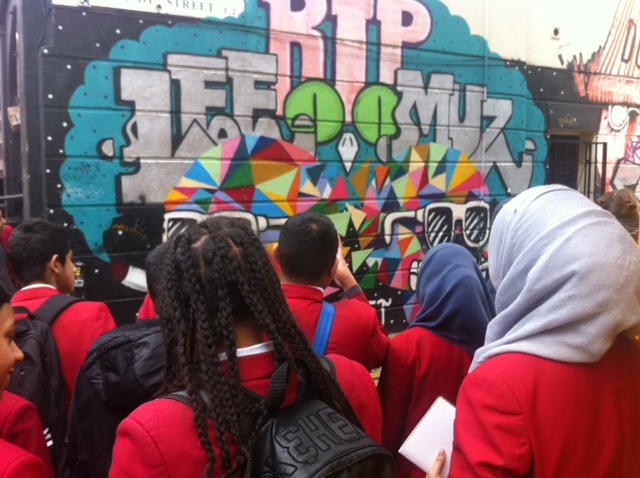 In March of 2016, the students of 8W were fortunate enough to be taken on a street art tour, exploring the streets of London’s East End, whilst getting a detailed overview on the works on display and the artists who were responsible for them. 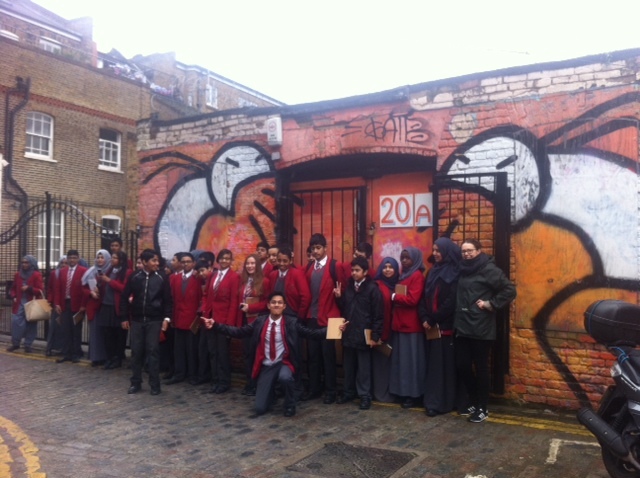 The purpose of the tour was for the students to broaden their understanding of art and its real world application. The pieces on display were not only there for their aesthetic purposes; many had important political and environmental messages that they were trying to convey. With the tour done, the students then went away to create their own pieces in their sketch book. They then came together for a group project, where they created a much larger piece. “We had a great tour guide! A very knowledgable person who was able to provide some incredible insights for not only the students, but the staff as well”.